The Fens are full of dark legends, for example at Spinney Abbey Farm nearby Wicken Fen there once stood an old priory. Local tales tell how monks can still be heard chanting in the still of the night, and that their ghosts have been seen. Strange lights are reputed to be visible, which could be either ghostly or just natural Will o’ the wisp. These lights can be seen wandering from the farm to Spinney Bank, which is a bank now between Spinney Abbey and Wicken Fen. Then there is the ‘Faceless Man’ of Longstanton, a shadowy figure spotted standing on the side of the road by a witness driving home one night. The driver manoeuvred to give the figure plenty of room as he passed, and then noticed the shape had no facial features. Looking back his rear view mirror, the driver could see that the faceless man had vanished. One of the most famous ghosts seen in the area is one matching the description of Oliver Cromwell reported on Ghost Hill, a small isolated area of fenland. More disturbingly, a woman with her son reported seeing a creature with a single yellow eye that watched them from behind a bush at Parson Drove, Throckenholt Bank. When it ran off, she could see that it was the size of a calf. Probably the most well known legend of the Fens is that of Black Shuck, the name given to the ghostly black dog which is said to roam the coastline and countryside of East Anglia, and as such forms part of the folklore of Norfolk, Suffolk, Essex and the Cambridgeshire Fens. 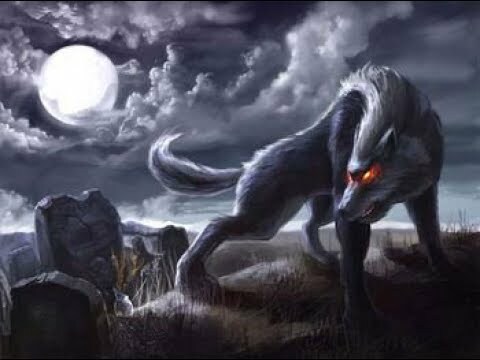 The name of this particular hellhound may derive from the Old English word scucca meaning ‘demon’ (as in succubus), as Black Shuck is often recorded as an omen of impending death. According to East Anglian folklore, the spectre haunts a variety of landscapes, primarily coastline, graveyards, sideroads, crossroads, bodies of water and dark forests. The coming of Black Shuck is usually said to be preceded by a blood-curdling howl, although his footfalls make no sound and his paws leave no prints. One of the most notable reports of Black Shuck is of his appearance at the churches of Bungay and Blythburgh in Suffolk. One day in 1577 Black Shuck is said to have burst in through the church doors at Blythburgh to a clap of thunder. He ran up the nave, past a large congregation, killing a man and boy and causing the church steeple to collapse through the roof. As the dog left, he left scorch marks on the north door which can still be seen at the church to this day. The Fens have also appeared repeatedly in fiction – usually with creepy connotations. The grand master of the horror genre, M R James, set several of his ghost stories in the fen country and this seems to have inspired others to set their supernatural fiction in darkest East Anglia. Bill Hussey, for example, set two horror books, Through a Glass Darkly and The Absence, in the Fens. Fantasy authors have also utilised the Fens as a locale – Philip Pullman for example in The Golden Compass. John Gordon, adolescent fiction writer and author of The Giant Under The Snow, has drawn inspiration for many of his supernatural fantasies from the Fens. His books with fenland themes include: Ride The Wind, Fen Runners and The House On The Brink, which is based on Peckover House in Wisbech. The Fens have also appeared in tales of mystery. Gladys Mitchell, prolific writer of detective fiction, took her eccentric sleuth, the psychiatrist Mrs Lestrange Bradley, to the Fens in several books, notably The Worsted Viper, Wraiths and Changelings and The Mudflats of the Dead. Unsurprisingly, not only writers but film-makers have made the most of the Fens, which have seen many motion pictures filmed there over the years, including Dad Savage and Waterland. Even if you’re not a writer or film-maker, the Fens are well worth a visit, if only to see a place that is just over half an hour away from the bustling heart of modern Cambridge but feels like it has one foot in another century altogether.